All disabled access lifts, ramps and other specialist solutions from PLS are built with quality components and incorporate the latest technology. 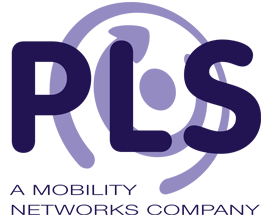 As part of the international Mobility Networks Group, PLS is able to deliver the best products from around the world which includes electrically operated bus and coach wheelchair access lifts, ramps, flexible flooring, WAV conversion kits and much more. These solutions can all be engineered to meet an infinite range of specifications and are proven to deliver safety, usability and reliability of the utmost calibre. Fitted either retrospectively or during a new vehicle build, Access™ Coach Lifts from Passenger Lift Services (PLS) are telescopic lift platforms that deliver safe access for wheelchair passengers. Based on the proven Access™ lift design, all City Bus High Floor Lifts from PLS are highly versatile and compatible with most worldwide high floor buses. Van Lifts from PLS are a leading choice for van operators, fleet managers and drivers looking for safe, reliable and strong vehicle platform access. Developed in close collaboration with major ambulance body builders and manufacturers of the latest specification stretchers, PLS Ambulance Lifts represent the cutting edge of engineering development. Based on its proven Access™ lift design, powered platforms can be designed, manufactured and installed for a wide range of bespoke vehicle from exhibition trailers to mobile healthcare units. Static powered lifts based on the proven Access™ design deliver safe, stable and controlled transfer of wheelchair users over gunwhales and onto varying deck levels. These ancillary products are built with the same high levels of precision and attention to detail so that safety continues to be maximised.